The news applications team at the Chicago Tribune is a band of happy hackers embedded in the newsroom. We work closely with editors and reporters to help: (1) research and report stories, (2) illustrate stories online and (3) build evergreen web resources for the fine people of Chicagoland. It’s important that we sit in the newsroom. We usually find work via face-to-face conversations with reporters. They know that we’re happy to help write a screen scraper for a crummy government website, tear up a stack of PDFs, or otherwise turn non-data into something you can analyze. It’s sort of our team’s loss leader — this way we find out about potential data projects at their outset. Unlike many teams in this field, our team was founded by technologists for whom journalism was a career change. Some of us acquired a masters degree in journalism after several years coding for business purposes, and others were borrowed from the open government community. We work in an agile fashion. 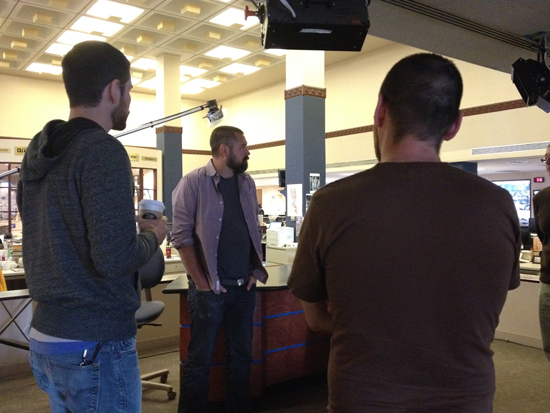 To make sure we’re always in sync, every morning begins with a 5-minute stand up meeting. We frequently program in pairs — two developers at one keyboard are often more productive than two developers at two keyboards. Most projects don’t take more than a week to produce, but on longer projects we work in week-long iterations, and show our work to stakeholders — reporters and editors usually — every week. “Fail fast” is the mantra. If you’re doing it wrong, you need to know as soon as possible, especially when you’re coding on a deadline! There’s a tremendous upside to hacking iteratively, on a deadline: We’re always updating our toolkit. Every week we crank out an app or two, then, unlike normal software shops, we can put it to the back of our mind and move on to the next project. It’s a joy we share with the reporters, every week we learn something new. All app ideas come from the reporters and editors in the newsroom. This, I believe, sets us apart from apps teams in other newsrooms, who frequently spawn their own ideas. We’ve built strong personal and professional relationships in the newsroom, and folks know that when they have data, they come to us. Much of our work in the newsroom is reporter support. We help reporters dig through data, turn PDFs back into spreadsheets, screen-scrape websites, etc. It’s a service that we like to provide because it gets us in early on the data work that’s happening in the newsroom. Some of that work becomes a news application — a map, table, or sometimes a larger-scale website. Before, we linked to the app from the written story, which didn’t result in much traffic. These days apps run near the top of our website, and the app links through to the story, which works nicely for both the app and the story. There is a section of the website for our work, but it’s not well-trafficked. But that’s not surprising. “Hey, today I want some data” isn’t a very big use case. We love page views, and we love the accolades of our peers, but that’s weak sauce. The motivation should always be impact — on people’s lives, on the law, on holding politicians to account, and so on. The written piece will speak to the trend and humanise it with a few anecdotes. But what’s the reader to do when they’ve finished the story? Is their family safe? Are their children being educated properly? Our work sings when it helps a reader find his or her own story in the data. Examples of impactful, personalised work that we’ve done include our Nursing Home Safety Reports and School Report Card apps.